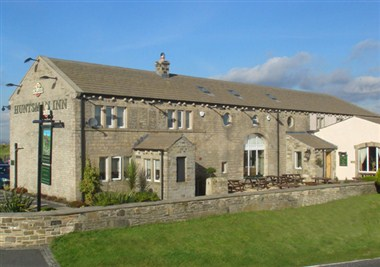 The Huntsman Inn is nested high above Saddleworth Moor just outside Holmfirth village, West Yorkshire. 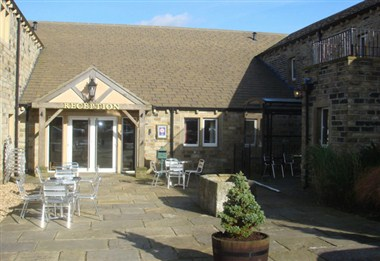 Its location is truly breathtaking, surrounded by the rolling Pennines and just minutes from the Manchester border. It offers its guests with 15 elegantly designed, comfortable and well furnished guest rooms. 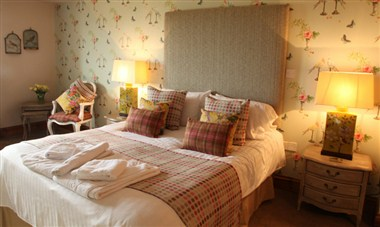 At the Hunstman Inn, you can relax in our 4 star rated bedrooms, sit by the fire in our pub whilst sipping one of our fine JW Lees ales, or dine in our fabulous restaurant with a wide menu selection to cater for all tastes. We also offer a stunning function suite with seating for 150, built in projector and screen and free Wi-Fi. 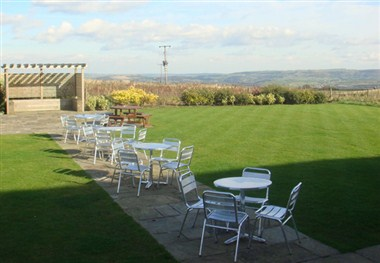 Guests booking a function have exclusive use of our rear garden area and its stunning views across the rolling hills of Yorkshire. 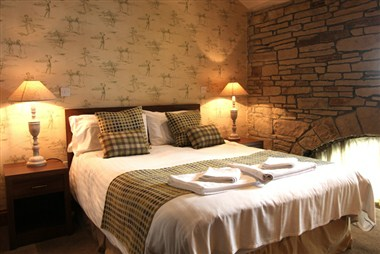 We are also dog friendly in our pub area and designated bedrooms. Whether you are a business traveler or looking for a few days away, we would be delighted to welcome you at The Huntsman Inn. Birthdays, anniversaries, weddings, christenings - whatever the occasion, our modern, spacious function room is the perfect place for your celebration, offering quality and a personal service. Our function room is also ideal for meetings and conferences, where you can work in a quiet, relaxed atmosphere. It is ideal for events such as product launches, sales conferences, and business breakfast meetings or just to provide an opportunity for a team to meet away from the hassle of the office environment. Our air-conditioned function room is available for sit-down meals or buffets, and accommodates 150 people for a sit down meal, and up to 250 people for a buffet. You can also book into one of our en-suite bedrooms so you can relax and enjoy your evening, knowing you haven’t got far to go.